Many of the other Nanny Agencies in Long Island, NY do not hold a candle to the service and level of commitment the staff at ABC Nanny Source provides. "I am a caring, energetic, trustworthy, and organized person. My goal is to find the right family where I can feel part of the family. 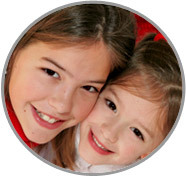 Being a Nanny with Nanny Agencies in Long Island NY is what I love to do. If I was asked to describe in one sentence the reason I have chosen to be in the Nanny profession over any other it would have to be because I get along great with children. I have been serving in some form of childcare experience for over 8 years and can honestly say I love what I do! I feel that children are fun to be with, just by seeing them how they grow and learn new things. I am willing to do housekeeping that includes laundry, cleaning, and light cooking. If I had to describe myself in five adjectives I would say that I am caring, energetic, trustful, honest, and punctual. Activities that I would like to incorporate in the daily plan for the family I care for would include arts and craft, reading time, and going on walks. If asked to describe the perfect family seeking a Nanny like me I would hope they would be kind and open." "Jackelin was able to do all the job requirements and even more. She was in charge of my two boys and everything else that was related to them such as laundry, meal preparation, arts and crafts, taking them to different outings, etc. She is a great childcare provider, she takes directions very well, you don’t need to repeat things to her, she just knows what to do as a nanny with Nanny Agencies in Long Island, NY." "Having Jackelin as a nanny is comforting. She takes the time to help and child when needed, no matter how frustrating the task may be. She is constantly bringing in new materials and things for the children to try, and they love it! The children adore having Jackelin as a teacher and my daughter loves when she is there. Jackelin has shown great patience and love towards all the children she cares for, and makes everyone feel included. She understands the balance of having fun and caring for children on a daily basis." "Jackelin cared for my nieces on an as needed basis for several years. She would create worksheets for them to help with their numbers and letters. She is well-organized and responsible. She would take my nieces on trips to the park, the library and the mall. She would also occasionally treat them to ice-cream. She is a very sweet and caring woman. 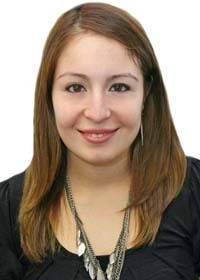 I would highly recommend her for a nanny position through any Nanny Agencies in Long Island, NY." "Jackelin fulfilled all job requirements; she did everything I told her to do the day I hired her and if there was something extra to do she would do that too. I had a great experience with Jackelin, she is a sweet girl full of energy that can’t be without doing anything. I still miss her and I know my children do, too."